Assuming the role of caring for an aging parent or elderly relative is an extremely difficult undertaking. The role of caregiver gives you the primary role of making sure your loved one is taking their medications and helping them with all of their daily activities from eating to using the restroom. Incontinence is one of the most challenging situations you will likely need to deal with. Caregivers often find that out of all the problems, incontinence is the most challenging on their patience as it is something that cannot be controlled. It is a symptom that causes one to lose control of your bowels and to release them often without warning. Some elderly patients may recognize it and try to get to the restroom but the majority of them will not be able to detect it until it has already happened. As a caregiver it is important to understand what urinary incontinence is and also to make sure that you are helping to properly treat it. If you do not properly care for incontinence it will end up leading to a handful of disease like urinary tract infections, skin rashes, and other problems. Meeting with your loved ones physician is a wise idea as they can give you some tips on managing urinary incontinence and what you can do in order to help your loved one feel respected and to prevent them from feeling embarrassed about incontinence. Here are some tips that will help caregivers understand how to manage incontinence. As a caregiver you already have a lot to deal with. From the management of your loved ones medications to balancing their remaining funds and other things, you likely have some health problems of your own that are also challenging. Lifting a loved one in and out of bed can cause back strain. This is why using safety bars and other aids will greatly help you as well as your elderly loved one. 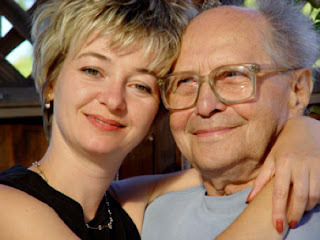 To learn more about incontinence and how to manage it please visit the following link: http://www.caregiverpartnership.com/landing/incontinence/. Make sure you are taking time for yourself as well as you too need the emotional help. Being a caregiver is tiring, stressful, and can often lead to depression if you are not properly caring for yourself as well. It is vital that you go through your home to make sure it is safe. Elderly individuals are prone to falls and a rug that is in the way of the restroom can cause them to trip or slip. With brittle bones, breaking a hip is easy for them to do. Make sure you are focusing on their safety and installing rail bars and using other aids in the home that will help to keep them safe. It is also a good idea to consider installing some safety lights throughout the home so they can see where they are going if they get up to use the restroom in the night. One of the best ways to manage urinary incontinence is by purchasing a number of different products that will help to make managing incontinence easier. You need to not only purchase adult diapers and wipes to cleanse the skin but it is also important to purchase some plastic sheets and other things to help protect bedding. This is a great way to keep the home cleaner and reduces the amount of cleaning that you will need to do if their bladder releases before they get to the restroom. Click here to find great incontinence products: http://www.caregiverpartnership.com/incontinence-product-finder/.